This is a great deal in celebration of the new Lego Movie! 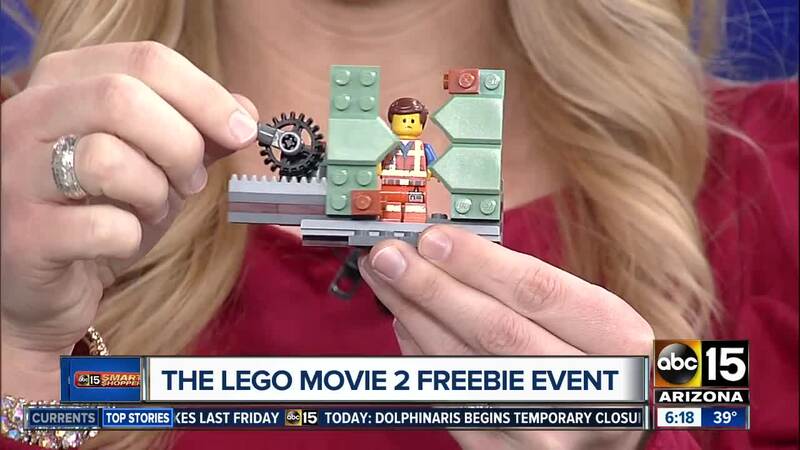 The LEGO Movie 2 is in theaters today and Harkins Theatres has a free way for you to celebrate! The movie's mission... Emmet and the gang must defeat the invaders and restore harmony to the LEGO Universe. This Emmet MiniFigure is not for sale in stores, but don’t let that stop you. You can get it for free at Harkins to celebrate the return of the master builders. Show up at any Harkins location on Saturday (excluding the Valley Art location), between 9 a.m. and 1 p.m. for their free MiniFigure Trading Event. Take any complete LEGO MiniFigure, new or used, and get the exclusive Star-Struck Emmet set free. It includes 41 pieces! Plus, if you buy tickets to the movie during the trade event, you'll get a voucher for a discount on Harkins kids combos.